Vita Coco, the #1 packaged coconut water brand in the US and the world, brings to the Philippines a new drink that combines the delightful goodness of pineapple and the healthy benefits of coconut water. Introducing Vita Coco Natural Coconut Water with Pineapple, a potassium-packed coconut water now infused with the delicious fruity note of pineapple. Hydrating naturally has never been more fun and healthy! Vita Coco Natural Coconut Water with Pineapple is your new favorite summer drink, bursting with the natural sweetness of pineapple and the refreshing purity of coconut that are freshly handpicked from the grove and never made from concentrate. This low-calorie and fat-free drink is loaded with vitamin C, naturally occurring antioxidants and valuable electrolytes, like potassium, making it an essential to those looking to enjoy those long summer days and hot summer nights. Looking for an instant Hawaiian Luau? Vita Coco Pineapple is available in a resealable 330ml Tetra Pak carton package that you can take anywhere you go—from fabulous beach parties to mountain peaks with stunning views, or even to the nearest swimming pool. 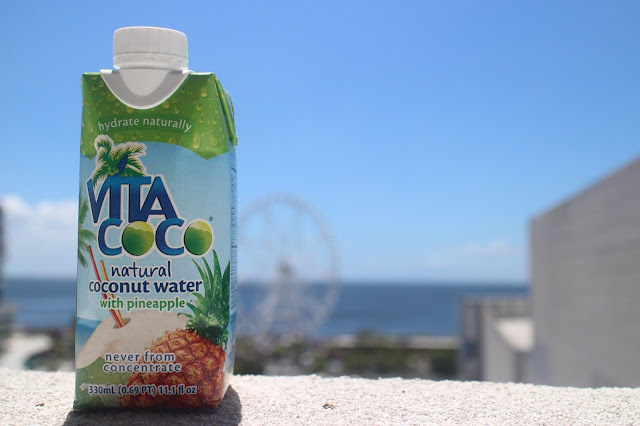 With Vita Coco Pineapple, rehydrating naturally has never been so easy, healthy and delicious. Born on the beaches of Brazil and sold in the US, Vita Coco is the number one brand of coconut water loved by Hollywood celebrities, athletes, fitness gurus, and beauty experts around the world. It was founded by long-time friends Michael Kirban and Ira Liran, who stumbled upon the idea of creating a coconut water beverage brand inspired by two Brazilian women once upon a night in New York and then by a trip to Brazil. What began as a bright idea quickly became a household name and is now found in thirsty countries worldwide, including our beloved Philippines. Enjoy the refreshing goodness of coconut water and pineapple from the brand loved by celebrities. Proudly manufactured and distributed in the Philippines by Century Pacific Food Inc., get your Vita Coco Pineapple at leading convenience stores and supermarkets nationwide. For more information, visit www.vitacoco.com/ph or www.facebook.com/VitaCocoPH.